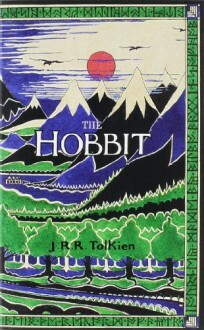 A Re-read from the annals of time, picking up The Hobbit again was like wandering back into an old, safe, comfortable world. Full of home comforts and the smells of childhood stories, Tolkien's world is one of memory and satisfaction, a story which resists time, and settles into your body, your bones. It's nice to know you can forever return to it, the characters sprouting out of the pages and welcoming you into your childhood, into the Lonely Mountain, and through the trees of Mirkwood until you're stood in the battles, in the gold and in the mouth of Smaug the dragon alongside the very words themselves.